The Daienji temple (大円寺, old Japanese 大圓寺) in Yanaka, near in Sendagi station (not to be mistaken with the one in Meguro), is a small temple famous for its monument stone dedicated to Osen, a beautiful girl who used to work in a tea house and model of Suzuki Harunobu (鈴木春信), a renowned ukiyo-e artist of the 1760s, who is remembered in the same monument. Ukiyo-e is a school of Japanese art depicting subjects from everyday life, popular from the 17th until the 19th century. Harunobu was a famous artist of the genre, an innovator who was the first to produce full-color prints in 1765. The temple itself consists of 2 sections. 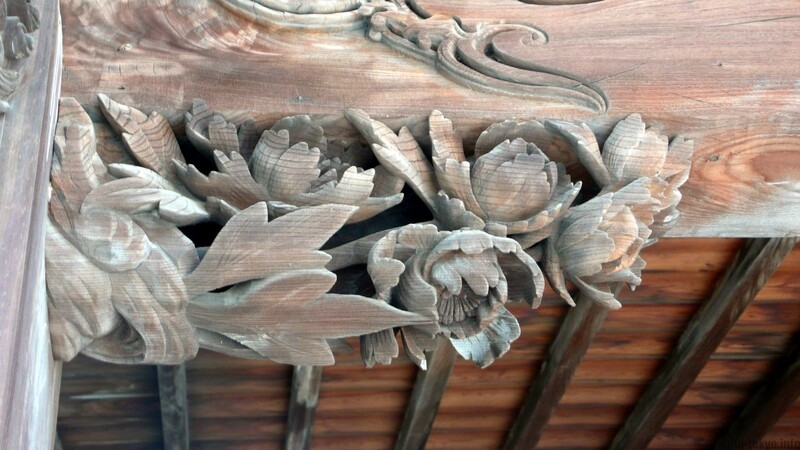 It is a quite beautiful place with intricate wood carvings in the temple eaves. Fit for being an eternal memory of a beautiful girl, beautiful art. Please bear in mind not everything in this temple is accessible to the public. The cemetery is off limits. 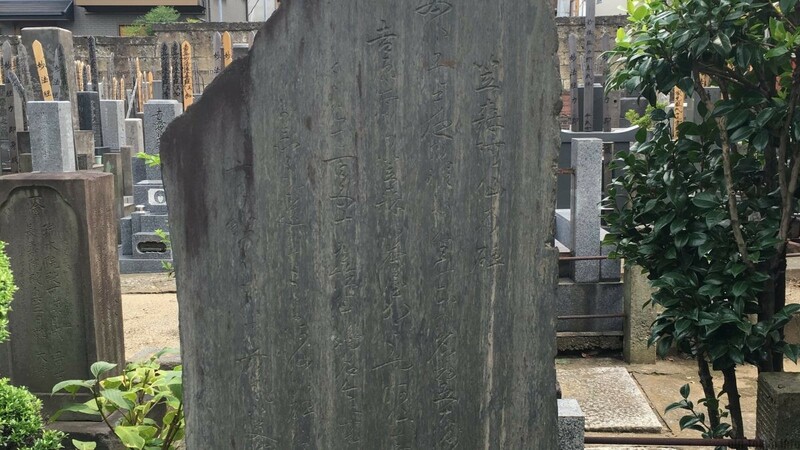 The story goes like this: Kasamori Osen (笠森お仙) was a pretty girl who worked at the teahouse called Kagiya near Kasamori Inari shrine in Edo Yanaka, said to be at the location where now Daienji is located. 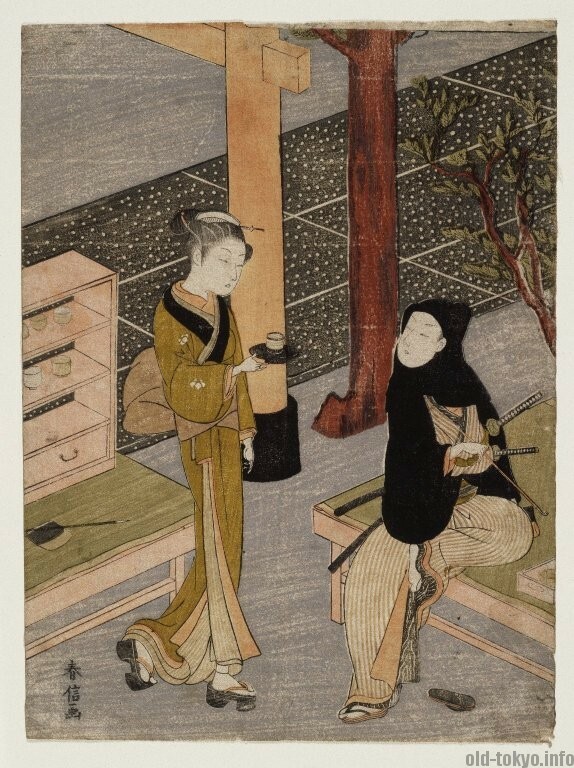 Suzuki Harunobu used Osen as a model in 1768 for one of his ukiyo-e woodblocks. Through the works of Harunobu, Osen became famous and one of the top 3 most beautiful women in all of Edo. 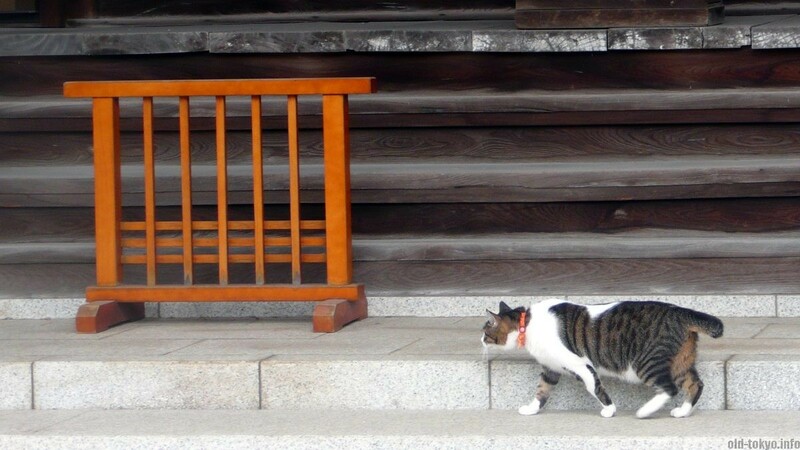 As a result visitors to Kasamori Inari shrine increased. However, at the peak of Osen’s fame, she disappeared from the teahouse. A long story short, she got married and was blessed with 9 children. It is a bit sad that there is nowhere a reproduction of the ukiyo-e of Osen to be found. I think that would appeal to attract more visitors to this temple. If you are curious as I was to see the picture of Osan, have a look on the wikipedia page and here. The monument has a text only in Japanese. You can find it on the right side when you enter the temple grounds. A small explanation text is provided in English. The temple and stone lantern. Buddha statue next to the stone monument. An old gingko tree on the temple grounds. These plates signify that the tree has been protected, since 1981. Woodwork in the temple eave. The temple is a short walk from Sendagi station exit 1. When you get out of the station, find Mister Donut across the street and walk for on that street for about 2 minutes. 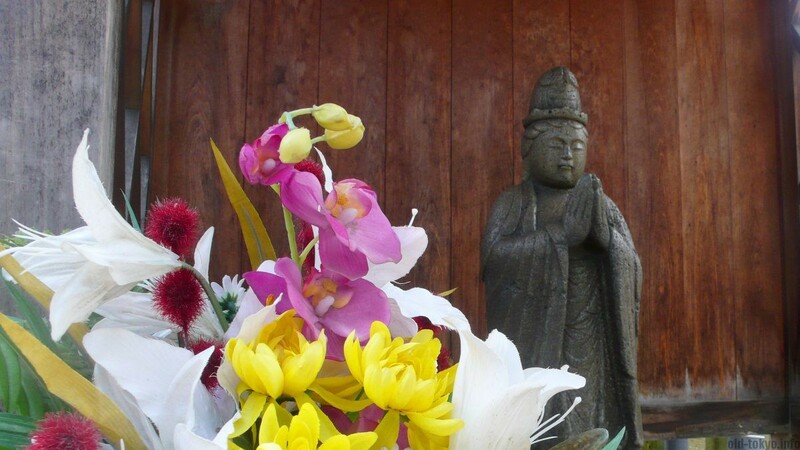 Zenshoan temple is next door and you can combine your visit as I did.